Adjusting your thermostat is an easy way to Save $$$. Use the thermostat below to see how much. 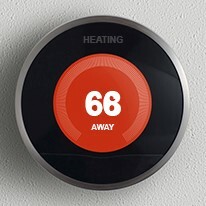 Click the up or down buttons to adjust your thermostat and see your savings! You can easily save energy in the winter by setting the thermostat to 68°F while you're awake and setting it lower while you're asleep or away from home. 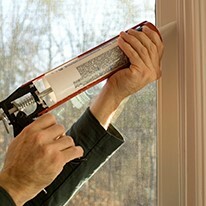 Caulk and seal air leaks where plumbing, ducting, or electrical wiring comes through walls, floors, ceilings, and soffits over cabinets.